Sourceforge is running a poll to elect its May’s Project of the Month, and Firebird is among the candidates. It will give a good publicity for the Project, so please vote until 15-April! The survey about Firebird 3 installer is closed, and results are now published (see below). Firebird 3 installer – feedback needed! The Firebird Project needs your opinion regarding some points in the Windows installer of the upcoming Firebird 3.0 final release. Please answer the survey available at https://eSurv.org?u=fb3installer based on your preferences. Your answer can help to guide us in future enhancements. Survey will be online until 20-Nov-2015. Our survey about what languages you use with Firebird will be closed in a few days. If you have not voted yet, do it now! 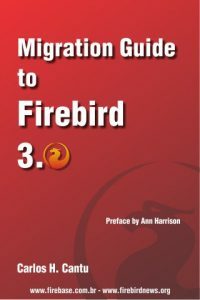 Knowing what Firebird users are currently using may help in directing future project decisions, etc. The survey is in the right sidebar in the main page of the site. We have a new poll in the site, about what languages are most used with Firebird. Please vote going to our mainpage and voting in the poll displayed in the right sidebar. Please vote and spread this poll to other Firebird users. Only 2 days left before the polls close. Please cast your vote if you haven’t done so already. Vote on our new poll visiting the mainpage of FirebirdNews.org. Look at the sidebar. Jaybird users and developers are invited to participate in the currently on-line survey that will be open until tomorrow (28-Sept).